/BigMIND /How to /I Have a License Key. How Can I Use It? Fill the required fields there, then click the I have a license key option. 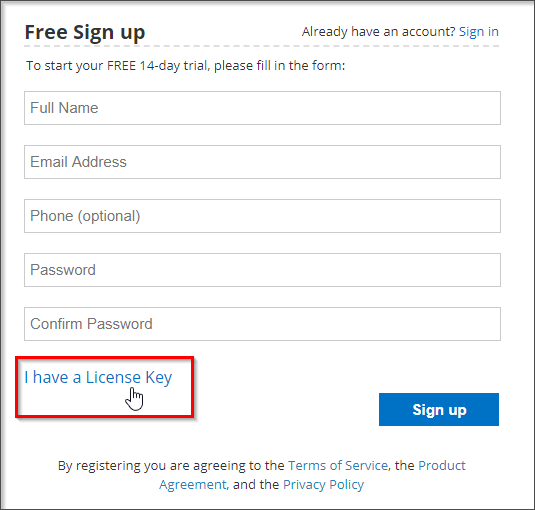 Enter the license key and click the Sign Up button. Log into your Zoolz online account. Once you are logged in, click your name at the upper right corner of the page → Account Settings. 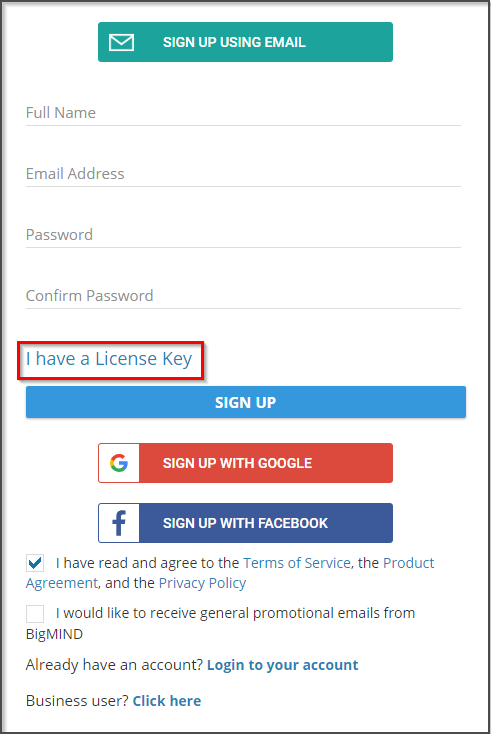 Click the License Key section → Enter your Zoolz license key → Upgrade. Click the Sign Up Using Email button. Under the LICENCE section, enter your BigMIND’s license key → Upgrade.